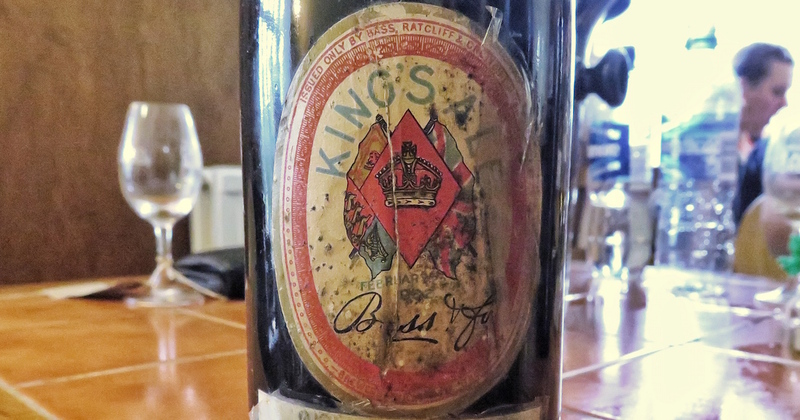 Last year, I got to taste Bass Prince’s Ale, brewed in 1929 and surprisingly drinkable despite its 83 years in bottle. When researching the inevitable blog post, a few other ancient beers from the same lineage appeared, including Bass King’s Ale. While Edward VII was crowned in 1902, it was in August, months after the beer was brewed, and the beer wasn’t done as a tie-in with the coronation. It almost seems like the king popped round to get a brewery tour while visiting his mate for the weekend. Which I very much like the idea of. 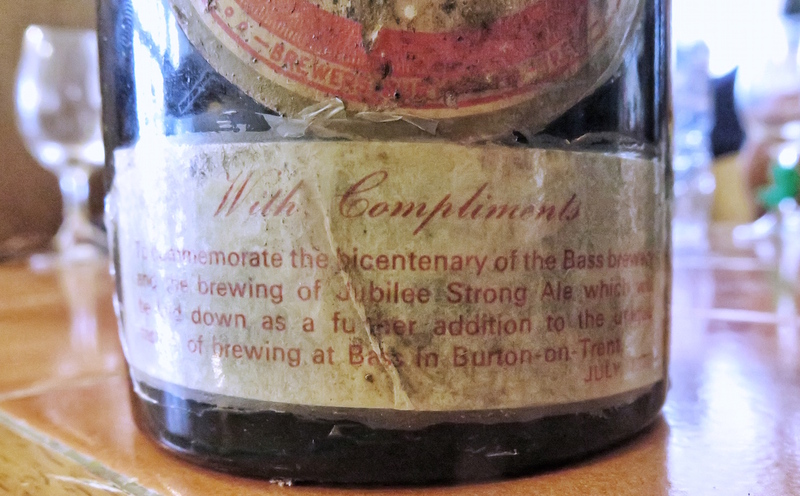 Apart from a small release in 1905, most was cellared until the 1911 coronation of George V. The brewery issued some bottles, but the independent bottlers who handled Bass also received casks, and they released the beer as well. Bass monopolised the King’s Ale name, and the others labelled it as Royal Ale – it is a much rarer bottle. The label explaining the 1977 recorking. There was some more launched in 1929 (a tie in with the Prince’s Ale?) but the main secondary release was in 1977, celebrating Bass’s bicentenary. These bottles were mostly rebottled, recorked and resealed, and had a label on the front letting folks know. They are also mostly sealed with black wax, rather than the red of earlier releases, which is another giveaway in case someone has removed the label to try and pass it off as an earlier bottling. I can’t find anything about what the beer was, but the mentions of ‘strong ale’ suggest that it was a variant on Bass’s flagship No.1 Strong Ale, or (more likely) just a batch of it. Nose: Branston pickle, Bovril and Marmite – the holy trinity of sandwich spreads, but more than one in your beer at the same time isn’t a great sign. Sharp, fruity pickle and sherry, with dark and heavily oxidised savoury notes. Palate: Lot of stewed plum, touches of ash and gentle but rich sourness. 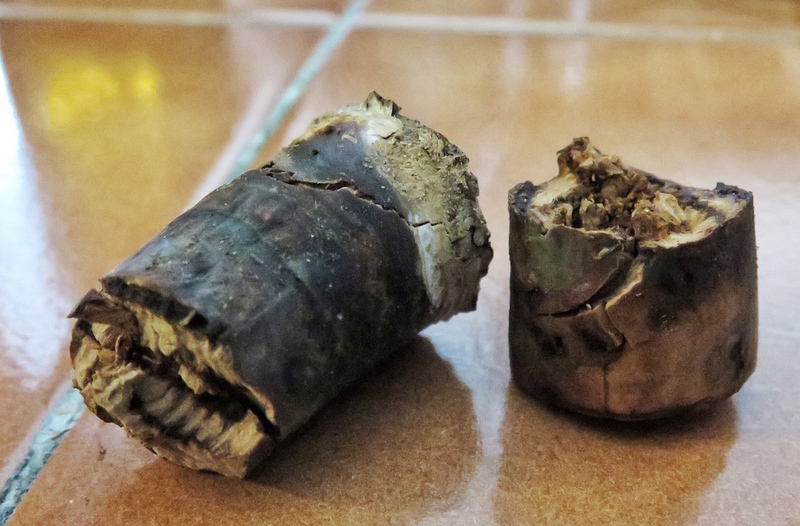 Dry oloroso sherry notes. More Branston. Finish: Lingering sherry with chocolate malt ashiness. Not one to drink more than a few sips of, but other bottles seem to have fared a bit better than this one. If you get a chance, try it. Many thanks to Angus MacRaild for opening and sharing this.